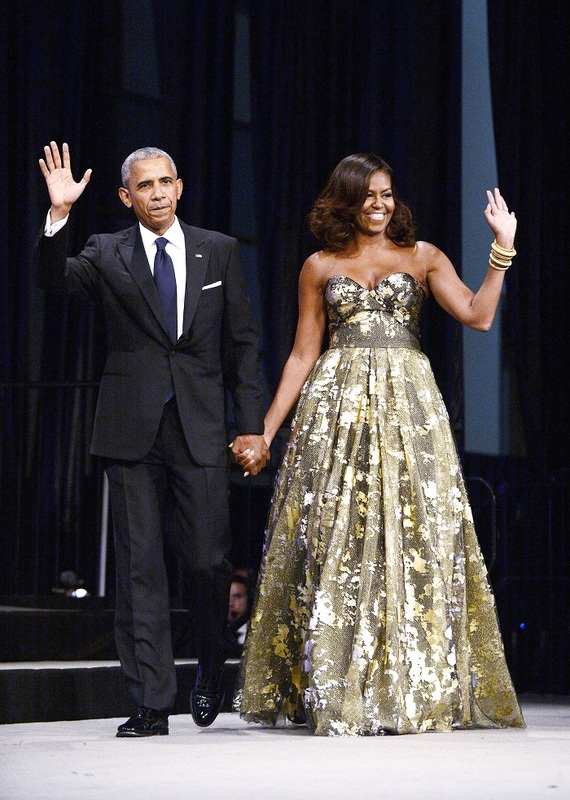 No matter how many possible and previous First Ladies we’ll have, Michelle Obama will always be remembered as one of the most fashionable ones. This super-smart lawyer and author blessed us with so many fabulous fashion choices during her husband’s presidency. The most amazing thing is that she still opts for the coolest designs after the duo left the office. Check out some of Michelle’s best outfits that will inspire you to copy her trailblazing style. Talk about real a princess! This fabulous lady has the recipe for looking flawless at every single event you can imagine. This is one of her most elegant appearances ever. The gorgeous dress features a very interesting gold foil print all over and a bold sweetheart neckline.